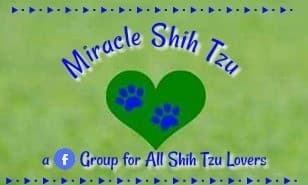 If you purchase a puppy from Tiny Miracle Shih Tzu, you will sign our contract. Please look it over and contact us if you have any questions. We do make exceptions to the contact from time to time such as offering full AKC (American Kennel Club) Registration and breeding rights. These considerations are offered on a case by case basis only. Many internet sites recommend that you question the breeder about any and all genetic testing that is done on the breeding stock. As an AKC Registered Bred with Heart Breeder, we try to honor this recommendations while at the same time obtaining all the additional schooling and continuing education available to breeders. With that said, there are some limitations to current testing. If for example, one of our females passes their eye exam with flying colors one year, has a litter and then fails the test the next year, there is no guarantee to the eye health of puppies born to the girl when her exam showed no problems. This problem is true pretty much across the board. Keep that in mind when choosing a breeder. If the breeder tells you he/she does DNA testing, ask what tests are performed. A simple DNA profile done by the AKC will not provide any information about health. Renters: Be sure to contact your landlord to assure you are permitted to keep pets in your apartment. Allergy Sufferers: Shih Tzu dogs shed very little and seem to have low dander levels but they are not completely hypoallergenic. No dog is. Be sure to interact with Shih Tzu dogs before deciding to adopt one. Better safe than sorry. 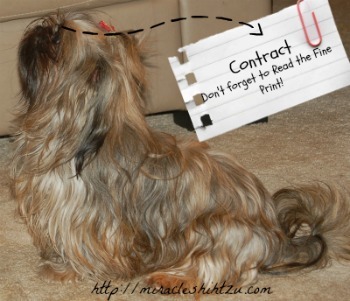 You will receive a signed copy of this contract when you purchase the puppy. Want a copy now? Get a PDF copy of this contract now. The seller, Janice Jones (Breeder) is the lawful owner of the dam and sire and has full legal rights to sell the offspring. The puppy is of sound body, in good health, has had age appropriate vaccines and has been fully wormed. 1. After taking possession of the puppy, the buyer is responsible for caring for and providing all the necessary veterinary care. The puppy may require additional inoculations, wormings, heartworm testing and heartworm preventative medication. If the puppy is purchased on a limited AKC registration, the buyer agrees to have the dog neutered/spayed at the approved age. (Normally 6 months, but buyer is to consult with the vet of their choice). Further, the buyer agrees to provide a high-quality diet, adequate grooming, training, exercise and whatever veterinary care is necessary to keep the puppy well. The buyer is to arrange a check up with a licensed veterinarian within 5 business days of taking possession of the puppy. The seller is to be notified immediately if the veterinarian determines the puppy is not fit for sale. The health guarantee, below does not include and preventable problems that are beyond the control of the breeder. These might include heat stroke, hypoglycemia, exhaustion, stress, poisoning, accidents, insect stings, abuse or neglect, and so forth. Any contagious diseases or parasites contracted after the first week in the new home will not be covered. Failure to have the puppy checked within the five-day period, not including weekends, will result in the guarantee described below becoming voided. Limitations: No warrantee or guarantee is made as to the puppy’s temperament, life span, size, color, show quality or fertility of the puppy. The breeder assumes no responsibility after the puppy leaves the premises or any change of mind on the part of the buyer resulting from, but not limited to a landlord’s disapproval, family disagreement, lost of job, allergies or the owner’s ability to care for the puppy. The buyer is free to return the puppy without receiving a refund. The breeder may choose to help the buyer find a home for the puppy and will turn over any monetary compensation received to the buyer. This is at the sole discretion of the breeder and no guarantee is made or implied. The breeder certifies that the puppy is, to the best of her knowledge healthy and free of any contagious disease, has been examined by a veterinarian, immunized and wormed per the health record provided to the buyer. Any issues found by the breeder’s vet will be notated on his health certificate. Anything significant found by the breeder’s vet prior to the sale will be discussed with the buyer prior to pick up. (Typical issues that my vet might discover include open-fontanels, low grade heart murmur, umbilical hernia, cryptorchidism, and so forth.) These issues are not considered a serious threat to the heath of the dog and some such as open fontanels and heart murmurs will take care of themselves as the puppy matures. In the case of cryptorchidism, the buyer will refund the deposit only if the puppy is being sold with Full AKC rights. If a problem is found during the buyer’s vet visit and the buyer wishes to return the puppy, the buyer agrees to supply all written information from their vet’s office and return the puppy within 14 days of the delivery date. Buyer further agrees to return any paperwork received with the puppy including original AKC application, health certificate, pedigree, etc. The return of the puppy will be at the buyer’s expense. The breeder agrees to refund the total cost of the puppy including sales tax if applicable to the buyer. The buyer also has the option of another puppy of equal if a comparable dog is available. 1. The puppy is warranted for one full year to be free of any life-threatening genetic defects. This is limited to genetic issues that are beyond the control of the buyer or breeder such as heart, liver, kidney, or other major organ system issues. If within the first year, the puppy is diagnosed with a genetic, hereditary, or congenital disorder, such as those mentioned above, the Breeder agrees upon the provision of veterinary reports and receipts to provide the purchaser with another puppy of equal value free of charge. 2. The Buyer must return the puppy and pay any shipping or miscellaneous charges with the transport of the returned puppy and the new puppy. If the dog dies within this period of time from any genetic problems such as heart, liver, kidney, etc., the breeder will provide the buyer with a new puppy of equal value as long as the buyer provide a signed death certificate from the buyer’s vet detailing the problem and cause of death after performing an autopsy. 3. There is nothing in (b.) above to imply that the seller will refund the cost of the puppy without receiving either the puppy back or a death certificate signed by the buyer’s veterinarian stating the genetic, or congenital cause of death, whichever is appropriate. 4. 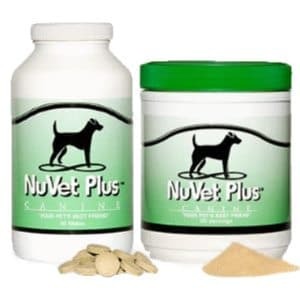 Two Year Health Guarantee: If the buyer wishes to extend this health guarantee for up to 2 years, the buyer agrees to keep the dog continually on NuVet Plus supplements. Buyer should keep receipts for their purchases but if receipts are not available, NuVet plus can confirm that the buyer has purchased sufficient quantities of the product to keep this part of the guarantee in place. This health guarantee covers the original buyer and is not transferable to others. All other requirements of the health guarantee mentioned above shall still apply. Three Year Extended Health Guarantee: To extend the guarantee to three years, the buyers agree to keep the puppy on NuVet Plus and feed paw tree dog food for the entire 3 years. Use the information from (e.) above to order NuVet Plus. I recommend you place your order on auto ship so you won’t need to remember to reorder. 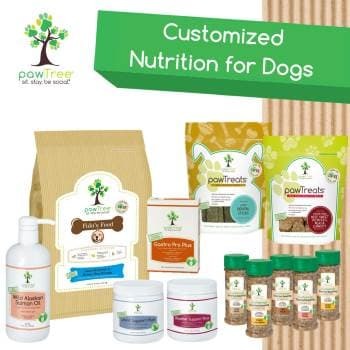 To order paw tree food (any variety is acceptable) by visiting: https://shop.pawtree.com//miraclepups. Ordering through this link will allow me to keep track of orders to determine that the buyer is fulfilling his/her end of this agreement. I recommend you place your order on autoship so you won’t need to remember to reorder. Lifetime Take Back Policy: The breeder offers a lifetime take back policy if the buyers can no longer care for the puppy. The return of the puppy is at the buyer’s expense. Once the breeder receives the puppy, the breeder will place the puppy/dog in a loving home. This is a service offered by the breed and there is no refund offered. Should the buyer no longer feel able to care for the dog, he may elect to rehome the puppy himself.